CHICAGO (WLS) -- A 20-year-old pregnant woman has been missing from northwest Indiana for more than a month. Gary police said Rochelle Stubblefield, of Merrillville, was last seen on Nov. 10, leaving Caulmet College of St. Joseph in Whiting. She was eight months pregnant when she disappeared. Her estimated due date was Dec. 15. 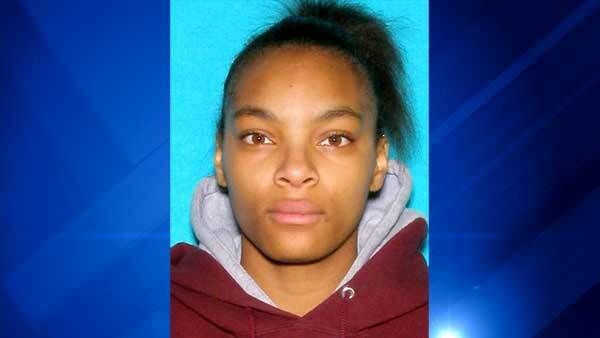 Rochelle Stubblefield, 20, has been missing from northwest Indiana for more than a month. She was eight months pregnant when she disappeared. Investigators said they interviewed a person of interest, but it did not lead to any charges. There has been no activity on her cell phone or bank account since she went missing, police said. Stubblefield was last seen wearing black jeans and a maroon Calumet College of St. Joseph sweatshirt. She is about 5 ft. 5 in. tall and weighs around 135 pounds. She wears glasses and has pierced ears. Anyone with information regarding Stubblefield or her unborn child should contact the Lake County/Gary Metro Homicide Unit at 219-755-3852, the Gary Police Violent Crimes Division at 219-881-1210 or the Crime Tip Line at 866-CRIME-GP.